Looking for a trendy spot where you can drink, dine and unwind in style? Head to 52 Wall Street, located in Koramangala, Bengaluru. The restaurant offers dishes from Continental and American cuisine along with some charcoal grills that can be paired with a drink from the well stocked bar. The chefs here uses fresh ingredients that leave your taste buds wanting for more. Serving all from noon to night, the restaurant is ideal for all age groups and exudes a vibrant ambiance with a spacious and comfortable seating area quirky decor and colorful walls covered with eye catching art. 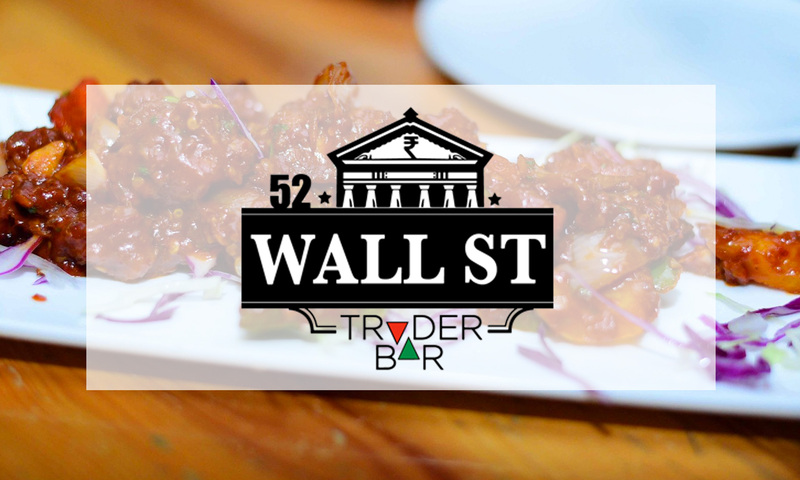 Head to 52 Wall Street with your near and dear ones and have intense laughter and conversations amidst alluring interiors, marble flooring and mesmerizing food.